If there is one thing that covering breaking news online has brought the world, it’s the liveblog. 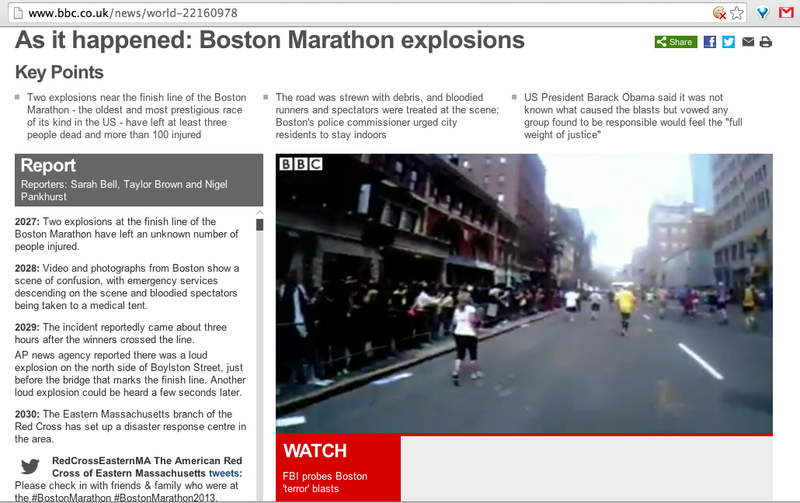 Liveblogging has become the default format for engaging audiences in ongoing news stories, allowing websites to compete with rolling news TV coverage. According to a City Journalism School study conducted last year, liveblogs on the Guardian website were receiving 300 per cent more views and 233 per cent more visitors than conventional online news articles on the same subject. They also outperformed online picture galleries, getting 219 per cent more visitors. Whether it’s an extreme weather event, a breaking financial story, a US election or events like the Oscars and the Grammys, a liveblog is the go-to format to cover it. I recently had the opportunity to be one of the official livebloggers at the digital journalism conference news:rewired, organised by journalism.co.uk. Here are a few tips and lessons I learnt about liveblogging. While the word liveblog may suggest that all the work takes place realtime, one of the most important things in a great liveblog is the effort you put in beforehand. Researching the story, finding the individuals involved and keeping up to date with any latest developments from them, setting up your social media lists, preparing links to give context are all essential to a high quality liveblog. By making sure you actually do this before an event gets started or as soon as a story breaks will also set you up for a much easier time when things get going. The day before news:rewired, I prepared notes on each talk that I would be liveblogging, including the twitter handles of those speaking, as well as some background into the organisations and their work, anticipating that some of the articles may come up during the discussion. Having the link ready and primed to post instead of having to look for it while the discussion was going on was a real help. Some liveblog platforms even give you the option of creating a ‘raw’ feed where you can prepare posts and pull them into the live feed when you need to, making it even simpler when the time comes. ScribbleLive, the platform we used, offered this option and it made life so much easier. You can’t do everything alone – and nor should you try to. Especially when reporting on a short length live event like a conference, or a football match, there is real value in gathering and presenting a variety of opinions. There are always other people there who can offer a different – and at times more specialist perspective – and really enhance your liveblog while ensuring you don’t miss anything. 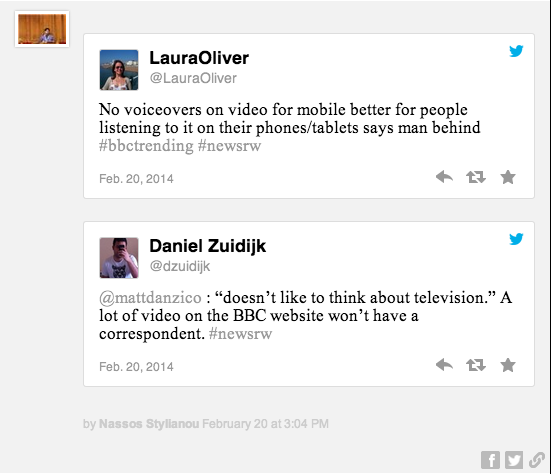 Remembering that it’s not necessarily a competition and linking to others will make your liveblog much more relevant. During the news:rewired conference, experienced former journalism.co.uk reporter and currently Wall Street Journal (WSJ) social media editor Sarah Marshall was covering the event through an open google doc. Linking to it regularly and checking anything I may have missed was a real asset. It took me a couple of attempts to manage to get a good variety in the length of my posts – in the first liveblog I did I triedtoo hard to get everything on a particular issue in a single post before pushing it out, while as a reaction in the second liveblog I was perhaps posting too frequently, interrupting the flow and providing contextless posts. The ideal is to post short, snappy, interesting facts as they come in, as with breaking news when covering a news liveblog. Varying it with longer texts providing analysis or background whenever possible is vital to keep the audience engaged, while links to additional information are also welcome. Liveblogs of cricket matches do this very well, providing over by over updates as well as a lot of analysis, background, audience engagement and plenty of randomness, which is always fun. Long and continuous blocks of text are hard to keep up with, while breaking up the text with headings, subheading, bullet points and lists – as well as adding images and videos – is crucial in providing some colour and scannability to whatever you are covering. 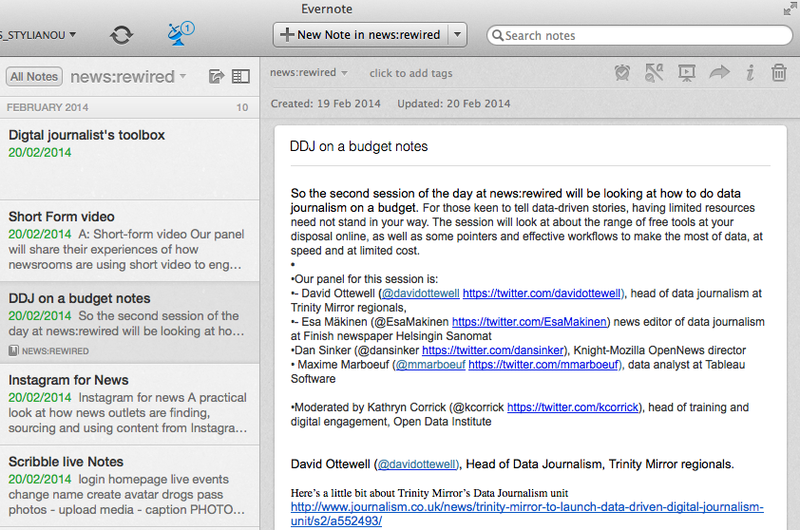 So there are a number of reasons to focus on keeping your liveblog visual. Whether it’s breaking news and giving a feeling of the situation on the ground or an awards ceremony and giving your audience an insight to what is happening there, keep the photos and videos coming. Keep tabs on instagram (using third-party services like Gramfeed and Statigram) hashtags, twitter search filtered just by pictures and video, vines and use your own phone to take a quick snap if that’s an option – anything to keep the content interesting and your audience engaged. Well maybe not quite future generations, but actually it’s worth realising that a liveblog can often provide a reference long after an event. 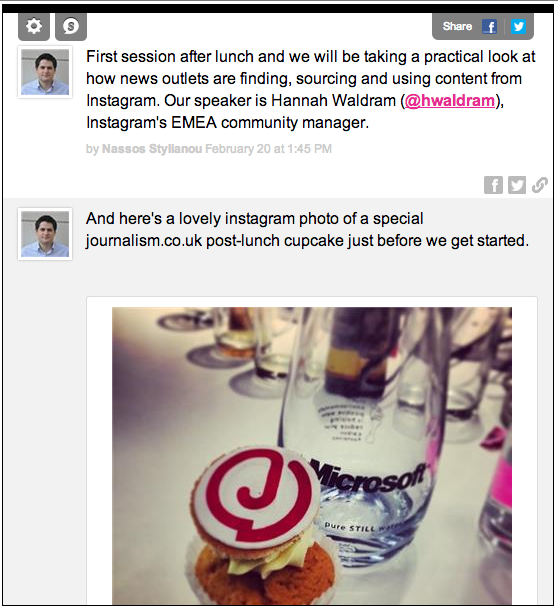 Turning a liveblog into an ‘as it happened’ post allows people an in-depth catch up on a news story or an event. Taking this into account it’s important to add a summary, key points and links at the top after the event. Collecting links and useful bookmarks could be extremely helpful for those interested so that they can read up later on topics they are interested in when they have more time on their hands. Here are my bookmarks from news:rewired, collected with pinboard and worth taking a look at if you’re interested in what was said during the conference. Each talk also has it’s own tag, so for the BuzzFeed keynote speech on making shareable content, the tag is shareablecontent, for the data journalism on a budget talk the tag is ddj, for short form video it is imaginatively tagged shortformvideo and for Instagram – wait for it – it’s instagram.